Waxing Phases favor actions involving planting anew and moving forward, as energy increases throughout one half of your Zodiac Pie from 27 degrees Aquarius, through Pisces, Aries, Taurus, Gemini, Cancer and Leo until the next Full Moon at 11 degrees Virgo arrives 01 March. This second New Moon of Winter 2018 is coupled with a Solar Eclipse, packing a lively energetic punch that outlasts the normal waxing phase for 6 months up to a years time, indicating what is naturally meant to begin from this area of the life has true sticking power for the long term. Aside from our normal waxing phase gathering up new energy, this lunation initiates a progressive pulse that takes us to its’ reflection and reassessment by the next Lunar Eclipse in Aquarius, 27 July. Equally, what we have been clearing and cleansing since 07 August 2017 when the last Lunar Eclipse in Aquarius occurred, is now ready for forward motion again. The major themes for this Eclipse and New Moon are radical and permanent changes wishing to now emerge from the Aquarian area of the life, assisted by a conjunction from Mercury who makes an exact sextile to Uranus in Aries. Our courage verses conflict will be required to work successfully with what we will need to adapt to, and what we unexpectedly receive through unusual ideas via eccentric means must be carried through to fruition. We may notice that we are told, “You are absolutely crazy for thinking that.” or ”What kind of hair-brained idea is that?” Yet whatever feels different about the originality brewing within our soul, we need to follow it through. We are undeniably meant to think outside of the box and keep stepping out of our comfort zones to become trail blazing pioneers and warriors moving forward in 2018, our year of Feeling the Feminine. The strongest word of advice is to be extremely cautious with who we share our brainstorms and new ideas with, which we will be more than excited about. Making sure our audience is not going to hold us back or shoot us down is key. Being these ideas will be highly intellectually charged, it will be equally wise to make sure we utilize our strongest means of discrimination and analysis concerning them. Taking time in solitude to process from within fully develops the observations coming into play, helping us hone in upon our intuitive nature, which will strongly speak to us all. Once again, slowing down to the pause and taking a silent listen is necessary to receive our brilliant information properly without being clouded in delusion nor confusion. Of final importance to note is how this waxing phase is part of a rarer time of our Feeling the Feminine 2 Universal Year where we can find grounding our intentions is the key during our favored Time to Thrive in 2018, as All Planets are in Direct Motion until 08 March. Initiating energy arrives for your future goals as you break through with confidence and certainty amongst your peers, friends, organizations and groups. Accept unexpected invitations to mix and mingle, which allows the world to take notice how much you have changed and appear differently. Your career is ready to receive recognition and rewards, yet expect these to arrive with radical changes for your professional life. Be aware of rebelling against authority. Time in solitude to process intently from within, allows for shocking revelations to help clear up inner blockages you need to heal. As your philosophies, educational and spiritual pursuits ask you to journey afar to unlock their truth, you’ll find synthesis is yours. Learning more via unconventionality is how you will know growth is part of your new found wisdom, involving unusual ways to look at your future goals, hope and wishes. Your most regenerative new moon of the year finds regeneration surrounding your state of wealth, prosperity and sexuality. Your source energy is in a powerful state of knowing it is reborn, it is equally time to be assured the more originality you are utilizing in your career, the more you are recognized. As business and personal relationships prepare for new agreements, take heed of the ones pairing with ingenious long-term goals for success in mind. Partnering up with those who are unique and absolutely honor your freedom to believe, are the ones who stand beside you in truth moving forward. Your abilities to tend to your physical self, your health, habits and routines- finds radical changes you didn’t expect are necessary to commit to improving your innate need to be of service to others. There is no doubt what aligns now ensures this is an absolute rebirth for you that has been a long time in the making. Your fresh feelings find you being playful, free and experimenting with your children or brain-children. Shifts are in full swing for your love of life upon your stage and your creative flow that has everything to do with your partnerships that stand in support of your inventive ideas about to flourish. Originality surrounds your home, family and closest environments. Listen carefully to what any déjà vu messages have to say, especially those honoring making change happen. As it is time to reinvent and allow comforts to experience something new, this involves radically rerouting your habits and routines. Exploring break-through ideas aligns peace of mind, as avenues of communicating your brainstorms are bursting with pioneering ideas. Remember to guard your excitement and be discreet with who you share them with. Expected the unexpected with your children, and go with the flow of changes here. Your earning power and sources of income are amidst courageous changes to allow more of the security and stability you innately love, yet these will not be by traditional means. As different ways of perceiving value speak, your home and family life gets fully involved in thinking outside of the box. As your approaches to life begin again, the world equally sees a unique difference in your appearance and attitude. Your emerging self reinvents itself once again, but this time, honoring and guarding your ideas and not rushing to share them with the world is how you will see them manifest accordingly. Time in the silent listen reveals surprising answers that speak to help clear the past as you allow time in solitude. This is a breakthrough awakening to a new inner process you can really find powerful healing within, aligning you in absolutely knowing your security and value have shifted for the better. Please check out the continuing deeper dish conversation on our current Eclipse Season in Leo and Aquarius! 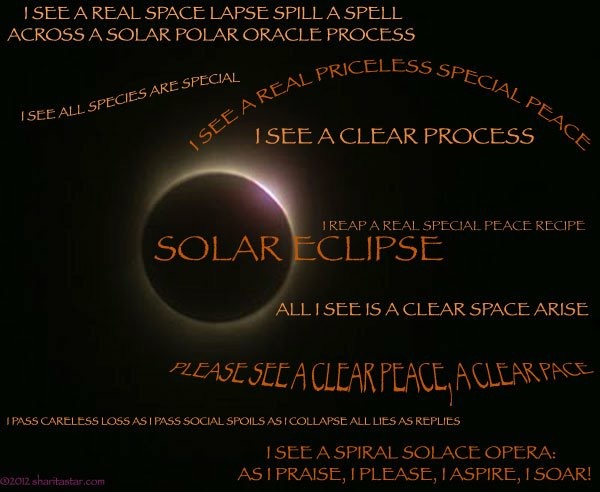 How can we Spell Out the Truth from SOLAR ECLIPSE via Lexigrams? Where Will You Feel Initiations & Fresh Starts? The Law of Attraction promises if you are not feeling good, you won’t think all too well either to be able to manifest the life you wish to see through belief. Our Lunar Lady is astrologically in charge from up above of the possibilities our human emotions and feelings will channel down here below, providing us with the perfect advice to follow. Being our Moon changes Zodiac Signs every couple of days, so too do our feelings down here below reflect these precise patterns from above. We are able to find proper emotional focus to manifest from, depending upon where these cycles unfold within our individual lives. This two-week cycle favors actions involving anything new, as increasing energy moves forward in one half of your Zodiac Pie until the next Full Moon in Leo. Even under a Waxing Phase, you will not wish to plan, plant, purchase, or initiate anything of importance is when the Moon is Void of Course. This astrological passage occurs every couple days during our business and workweek, marking the critical request to take up in more reflective acts in solitude and engaging in quieter soul activities. Check in weekly with Empowerscopes on Empower Radio for all Moon Void of Course times. Mercury, our planet of communications, thinking, movement, mindset & mentality takes his first reflective passage of 2015 in Aquarius. 20 January’s New Moon well advises to carefully monitor courses of action taken for long-term success under the normal waxing phase that typically favors all things anew. As the Approach began 05 January, what will need required review, redo and reworking will begin to speak until the retrograde officially begins 21 January, pointing to the expected changes that will naturally unfold under the retrograde cycle. The simplicity of your natal sun sign is a marvelous starting point to align peace of mind about what is naturally attracting and releasing within your life lunar month to lunar month. You are already on alert to changes with your groups, organizations as well as your hopes and wishes. While the call for fresh starts is here, you’ll equally find energy asking for your careful consideration. Look to what educates your beliefs to find the wisdom necessary for decisions you will carefully make. Recognition asks for you to shine in it within your career and public life, if you have done the legwork to receive it. Remember to find time to reflect upon what can be improved upon here. You’ll find, the answers for both connect to what responsibility is saying from your wealth and depths of your core. GEMINI: It’s time to focus upon the new where I Believe. New educational processes seek for you to unite with them to inspire newfound beliefs, as another calling for review here says look at philosophies you no longer need to achieve. You’ll find, when you search your partnerships, the ones who offer you patience are the ones that can assist you the most. Matters of your wealth, other people’s money and all the ways to make what you have greater are on your intuitive radar. Core regenerative changes ask for your reflective energy to focus upon them. Much connects to the ways your habits, health and routines seek your responsible service to them. Plenty of fresh energy surrounds old relationships that come back into your picture, and all ask for your discernment of who stays or goes for the future. Whoever willingly wishes to work with you to properly guide and direct your creativity to the spotlight of recognition, are the ones to hold on to. Service to yourself, others, along with your health, habits and routines is thrilled to show you new ways to align in purity, which includes reviewing what you no longer need here. Connect the dots to what you are doing to be more diligent where you nurture your home and family life, and follow them. What is it that is ready to step into the spotlight on your creative stage? While some innovative ideas are available, you’ll also find unfinished creative projects will be enjoyed as you now revisit them. Look for ones that involve your communicative means, pondering responsibility about how your think. SCORPIO: It’s time to focus upon the new where I Nurture. Initiating energy is emerging in your home and family life, but déjà vu might just also call, so be sure to listen closely to it. Find time to ponder ways to clean up all around on the home front. This may involve taking a true look at your possessions, and realizing what you no longer need for comfort. SAGITTARIUS: It’s time to focus upon the new where I Communicate. Innovative ideas shoot now from that ever-aiming mind of yours, as you rediscover arrows that targeted old ideas and thinking to review and reflect upon. While it is the very beginning of a long cycle to change up your appearance and approaches to life, holding patience’s hand guides you well. You’ll want to exercise your innate scrutiny and learning from experience with any stability that new streams of income may offer you. While new values are ready for you, be cautious with signing anything. The responsibility to your private time will come in handy for decisions needing to be made. While life calls you to take on new approaches to it, something still sits with you on those first impressions to stay in the space of review before placing a new mask upon your face. The world will see you anew soon enough, but speak with your friends, groups, hopes and dreams before doing so. This is a necessary cycle that has you swimming in your inner world between what must heal from your past and making equally improvements to your solitary time. Listen carefully to what emerges when you are alone, for many answers speak of how to work better with your career and public life. Energy initiates and builds within this half of your Zodiac Pie throughout 03 February. 0 degree point lunation’s are amazingly powerful for regeneration and change within our lives. As we experience this 1st New Moon of 2015, it is flavored with more of a reflective feel on the station to Mercury turning Retrograde the following day, equally as it easily speaks with responsible tones to Saturn in Sagittarius. Whatever it is that our individual lives are meant to initiate, it will be wise to cross our t’s, dot our I’s and make sure what is coming forth anew, is practical and absolutely necessary within our lives. Know Someone Who Likes to Feel Good? Share #LunarOScopes with your favorite Social Media! For those who enjoy the charts of astrology, our “Photograph of Time” upon 29 January’s New Moon in Aquarius, as it relates to all our other celestial bodies.